Eric M. Bucktooth, of Rochester, N.Y., passed away following a long illness on December 31, 2013, at age 62. His final days were spent surrounded by family and friends that Eric had touched in some small way throughout his memorable life. He was born May 5, 1951, in Syracuse, N.Y., the son of the late Floyd and Elaine Gibson (surviving) Bucktooth. Surviving besides his loving wife, Kathi of 29 years and his sister and brother: Ernestine Sunderlin, Jimersontown, N.Y., Floyd (Corliss) Bucktooth, Steamburg, N.Y.; and several nieces, nephews and friends. He was predeceased by two brothers: Fletcher Bucktooth and Ernest Bucktooth Sr.; nephews: Floyd Knuckles Bucktooth IV, Raymond S. Sunderlin, Jr. and Mikey Sunderlin; Chance E. Bucktooth and Jerome E. Bucktooth. Eric was an enrolled member of the Onondaga Nation of Indians, the Eel Clan, and was an heir of Cornplanter. He enjoyed RVing, the outdoors/barbequing, and making people laugh with his great sense of humor. 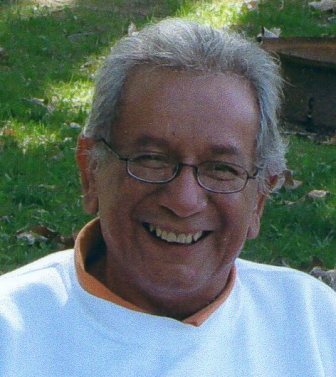 He was a loving husband, uncle and enjoyed the outdoors. Friends may call at the family home, 3498 Center Road, Salamanca, NY, on Thursday afternoon, January 2, 2014, after 3:30 p.m.
Funeral services will begin at the family home on Friday at 1 p.m., followed by church services in the Jimersontown Presbyterian Church with Kevin John officiating. Burial will be in Memorial Heights Cemetery, Jimersontown, N.Y.
Funeral arrangements are under the direction of the O'Rourke & O'Rourke Inc. Funeral Home, 25 River St., Salamanca, N.Y.